Circadian sleep disorders are neurological disorders in which the sleep-wake cycle is out of sync with the day-night cycle. The medical community and the public must realize that these disorders are serious and potentially disabling. People with DSPS cannot fall asleep until very late and therefore need to sleep late in the day, or they become chronically sleep deprived. They can manage to stay on a 24-hour schedule, just not sleeping at the usual time of night. People with Non-24 have more than 24 hours in their day. They fall asleep later and later each day, cycling around the clock over several weeks. The key to these disorders is that sleep times are not simply preferences. People with DSPS or Non-24 are unable to sleep except at certain times as dictated by their faulty internal clocks. Circadian sleep disorders typically start in early childhood or puberty. They are transient in some adolescents, lifelong in others. DSPS and Non-24 are often misdiagnosed since the sleep deprivation that can result can mimic depression, ADHD, fibromyalgia, and other disorders. Equally frustrating, many people do not understand the reality of our disorder, or flat out do not believe its severity. Current treatments include morning bright light exposure, evening light restriction, and melatonin. Finding the correct therapy timing and intensity is critical, especially with respect to one's internal clock which may initially be on a different schedule from normal sleepers. Treatment can be difficult, and for many of us it has not been successful. When therapy is not completely effective it may be difficult to get to work or school on time, to work and learn during times the body needs to sleep, to find friends and spouses who can accommodate the altered schedules, to fulfil family obligations, to get to stores when open, and to meet with doctors. Two experienced sleep researchers, Yaron Dagan MD PhD and Judith Abadi, say that for these patients "It is imperative that physicians recognize [this] disability in their patients and bring it to the notice of the public institutions responsible for vocational and social rehabilitation." We hope that better treatments will result in fewer untreatable cases, and that employers and schools will accommodate people who cannot successfully shift their schedules, so they can live productive lives. Trying ever harder to force yourself into a conventional work day can lead to chronic sleep deprivation and ruin your health! Treatment does not always succeed. When you cannot fall asleep before 4 AM, you may need to sleep until noon or 1 PM. You have a right to accommodations at school and at some workplaces. Disclaimer: We cannot, nor do we intend to, give medical advice. See a qualified sleep doctor for diagnosis and treatment. Please join! Together we have a voice. 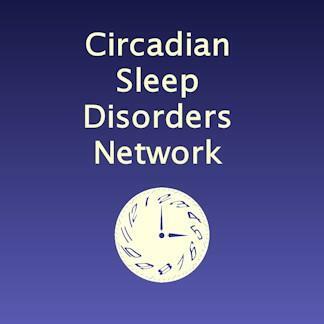 This brochure can be downloaded from www.CircadianSleepDisorders.org/docs/CSD-N_brochure.pdf. It may be freely distributed.